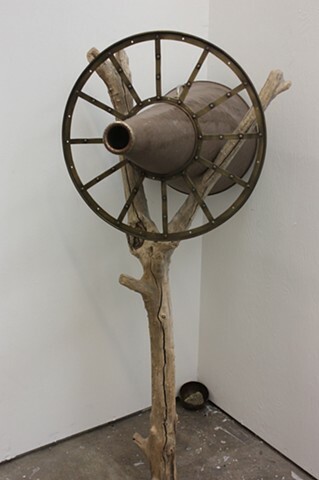 This piece utilizes a vintage megaphone that is directed to the corner picking up ambiant sound. This sound is collected and reflected back to the ear. This piece is very fluid, changing with time & location.